Local anesthesia, sedation and general anesthesia are integral parts of dental practices; but are they safe for children. This is being questioned again after several kids tragically lost their lives due to dental procedures that went wrong. Some children are going to the dentist for a routine cleaning, getting a tooth pulled, getting wisdom teeth removed, fixing a cavity, or getting a tooth capped and then being serious injured or losing their life after being sedated. Some dentists use sedation to calm a child or to ease pain during a procedure. Deep sedation costs more money for training, support staff and equipment and it requires a special license that most dentists don’t have. Therefore, the dentist may opt for conscious sedation options. The danger isn’t just from local anesthesia such as Novocain or numbing gels. Now dangers include when a child is under general anesthesia and has complications and the dentist doesn’t recognize the danger or react immediately. According to a Dallas Morning News investigation in 2015, a dental patient dies nearly every other day in the United States. That’s more than 1,000 people over the course of five-and-a-half years. Unfortunately, there is no national registry of dental deaths to know the exact number and many states do not collect, share and/or report this data. Many safety advocates are concerned that if they can’t identify the problems or system breakdowns, then how can professional and consumer agencies prevent them. They believe there is little oversight and few sanctions for negligent individuals. Why is this happening? Results show that in many cases dentists are not adequately trained; however, even trained dentists have been unable or ill-equipped to handle emergencies with young patients. Dentists must comply with their state’s laws, rules and/or regulations when providing sedation and anesthesia. An ABC News investigation found a patchwork of state regulations with some states requiring only a weekend-long course for dentists to be certified in the administration of oral sedatives. A Pediatric Conscious Sedation Permit. Each type of permit requires a very specific type of training and education before the permit will be issued and each type of permit has specific allowances and limitations. Each type of sedation permit authorizes the permit holder to use, employ, or administer specific types of sedation, and may prohibit the use of specific drugs. The type of permit may also limit the permit holder to treatment of a specific class of patients. In addition to CPR (Cardiopulmonary Resuscitation) certification, a dentist utilizing pediatric conscious sedation must be currently trained in Advanced Cardiac Life Support (ACLS), Pediatric Advanced Life Support (PALS), or a course providing similar instruction which has been approved by the Board. 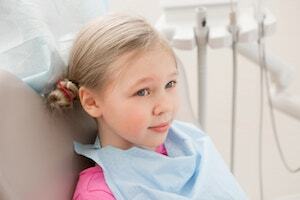 Dr. Jim Nickman, president of the American Academy of Pediatric Dentistry (AAPD) says, "We advise members to use extreme caution when they're looking at sedating a child less than 3. For those under the age of 2, I would recommend anesthesia be done in a hospital setting." Will any sedation medication be given to my child at home prior to their coming to the office and, if so, how should they be monitored?